The Probe Card Interface Assembly (PCIA) can interface with any wafer size. The PCIA is robust and trouble free, it is quite reliable. It fits into the same opening as the 9.5″ RC-2 carrier ring used by most prober manufacturers for rectangular probe cards. This product offering consists of test software, a GDSII compatible test structure, testing of at least one wafer, and one day of training at Reedholm. It can be ordered with a new Reedholm test system or retro-fitted in a Reedholm system which has at least three VFIF’s and a DMM-16. Performance of many precision integrated circuits is dependent on low temperature coefficient of resistance (TCR) resistors. For example, analog to digital and digital to analog converters typically use low TCR films in ladder networks and as feedback resistors. 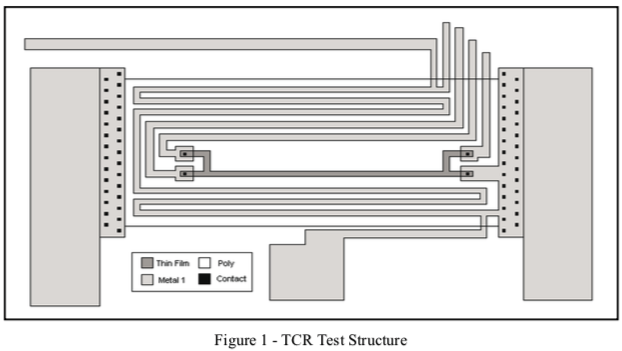 Some signal processing IC’s make use of low TCR films for gain setting. TCR values, matching, and stability are extremely important in such applications. Our progress continues. It has been a busy last couple of months with systems being shipped all over the world. On the business front, we are busy at work completing this year’s CARTA corporate valuation paperwork. Everyone that you work with at Reedholm Systems is a shareholder in our entity, which means they have a stake in your success too! Reedholm’s PCIA has proven to be a workhorse for customers, dramatically reducing if not eliminating cable failures that otherwise result in a down test system. And these are matched by simple high-performance probe cards that are wafer size independent. 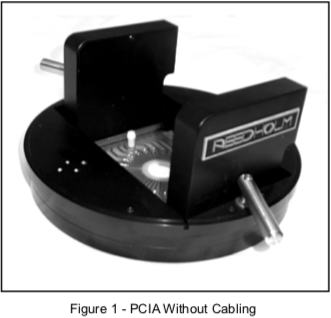 The PCIA is normally shipped with Reedholm test systems but can be shipped for use with just about any test system while delivering sub-pA performance if desired. The probe card end remains the same, however a cable and connector that that matches up to other brands of testers needs to be incorporated. The other test accessory is the automated TCR capability. Comprised of a test structure and automated and integrated test routines, this allows customers to gather comprehensive TC data in production. Finally, we are updating our website with the availability of spares or replacement modules, both new and refurbished. If not immediately available, online ordering will be in place by the end of the year. GaAs fabs produce photodiode array optical device wafers with, sometimes, hundreds of thousands of diodes resulting in lots of pixels which have to be electronically tested, typically in the pA range causing a production and engineering challenge.Rack and Stack systems used for testing often prove to be a production bottleneck. 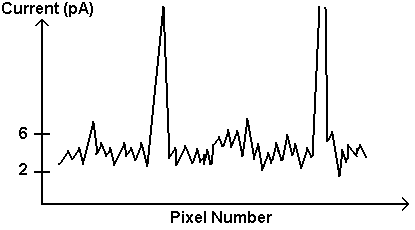 Significant faster and higher throughputs are possible with standard Reedholm Test Systems, for example a 4x speed gain was achieved using Reedholm Low Current Measurements with the PAM-16>1pA resulting in a 1.8 hour test cycle for 100,000 pixels improving from 12 hours. July 17, 2018 Georgetown, TX – Reedholm Systems announces, effective immediately, that the Company has formally engaged with The Piner Research Group (located on the Texas State University Campus) to develop reliability methods and standards for production test of WBG devices (wide band gap) as well as to provide technical consulting services to Reedholm Systems. Both parties recognize the unique needs and challenges faced by WBG device manufacturers and Reedholm Systems’ need to refine its measurement instrumentation and long-term reliability stress capabilities specifically for the GaN, SiC, GaN on Si, and other WBG devices and materials. Thanks to all of those that came to see us at CS Mantech in Austin, TX. As always, the organizers at CS Mantech know how to throw a party, with no shortage of food, drinks and snacks throughout the event! Well done! From discussions about fast production test systems, to ways of dealing with oscillations with high speed devices to novel WBG reliability stress test systems – we were busy throughout the event. Joining us in our booth at CS Mantech was Dieter Ratheir of DR YIELD. As many of you saw, DR YIELD creates software based yield solutions for the integration and visualization of data and helps you make sense of it. This allows smarter and faster decisions, ultimately resulting in significant cost savings. Once installed, it will quietly sit back and look for anomalies in the data that don’t trigger existing rules and automatically alert your engineers. Let us know if you would like more information. We will be traveling throughout the Pacific Rim in September. We look forward to face to face meetings with both existing and future customers. If you would like to meet then, please drop us a line. The parties recognize the unique needs and challenges faced by WBG device manufacturers and Reedholm Systems‘ need to refine its measurement instrumentation and long-term reliability stress capabilities specifically for the GaN, SiC, GaN on Si, and other WBG devices & materials. The terms of the Agreement with The Piner Research Group also call for Reedholm Systems to install one of its industry leading 10kV/50A WBG Parametric Test Systems for process control and die sort measurements of WBG devices. The system can also be extended for reliability stress test requirements for HTOL, HTRB, and HTGB requirements (depicted below) for WBG research projects undertaken by Reedholm Systems personnel, the Piner Research Group and Texas State University PhD students. Since 1983, Reedholm is one of the pioneers of production parametric test. Located in Georgetown, just up the road from Austin TX, Reedholm Systems provides parametric and reliability test systems, including systems designed for high power wide band gap requirements. Technology for Nitronex, a leading WBG device manufacturer. He also worked as a research engineer and project manager at ATMI specializing in III-V Nitride epitaxial processes. Texas State University has made materials science and engineering research, education and commercialization a priority. Emerging advanced materials have the potential to dramatically affect all segments of the economy. Texas State recognizes the need to develop the next generation of innovators and entrepreneurs to drive economic development, not only in Central Texas, but across the United States, moving new materials quickly into solutions needed today. 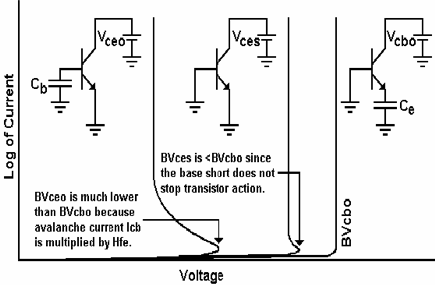 Measuring BVCEO is tricky at any voltage and is a slow test at low IC because any charge injected into the base when biasing the transistor has to fully recombine before an accureate measurement can be made. Several Reedholm routines used to directly find BVCEO are characterized in terms of speed and resolution, illustrating the speed issue. In addition, a couple of methods are described that produce results much faster than the direct method of measuring BVCEO at a specific IC. Our focus at Reedholm is on the accurate and fast measurement of test structures, both at the wafer and packaged levels. This focus also makes our systems suitable for final DC test of funtionality for some products. We concentrate on applications, not the sale of products. We want to ensure the integrated system can be used on the day of installation. This approach can take more time and effort but it is worth it. We provide data-driven test environments that are easy to use and which eliminate the need to program, making the difficult tasks of interpreting and resolving cryptic run-time and compiler error messages a thing of the past. Reliability and Durability are designed into each of our systems. Working lives of decades are realistic. State of the art performance is maintained with periodic system upgrades that provide new life at a fraction of the price of a new system. Please let us know if you would like more information. We welcome the chance to serve you and help address your test requirements. High power devices built on silicon carbide and other types of substrates achieve maximum performance through use of vertical structures with the drain or collector at the bottom of the stack. 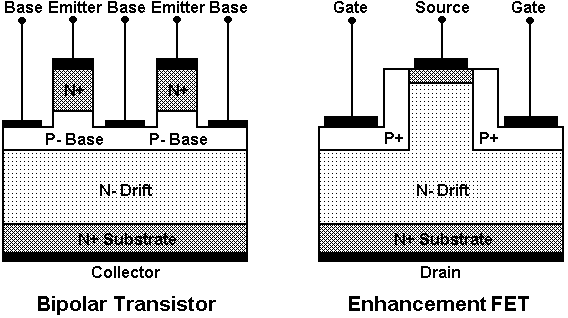 Screening high power transistors also requires measurement of low level on resistance and saturation voltage. Most customers enjoy significant savings by having service agreements in place. Besides a lower net price on repairs, customers with contracts receive discount pricing on the order of other goods and services. Agreements can be structured in a number of ways, either just for repairs, or for a combination of support hours plus timely repairs. Contracts run a full year, the price of a single system annual agreement is $6,000, coverage for two systems is $8,000, three systems $10,000 and four or more are priced at $12,000. We recommend some combination of repairs and hours so that help can be provided without delay to help trouble-shoot during down situations. Coverage starts once payment is received. Please email sales@reedholmsystems.com if you wish to consider an agreement. Please let me know if this has your support and we can prepare a contract/quote. Semefab (www.semefab.com) is a silicon wafer foundry operation manufacturing microelectonics and MEMS in Glenrothes, Scotland. It accomplishes this with three fabs. This enables Semefab to work with customers, large and small. Clients can choose to utilize standard process building blocks, or implement customer processing steps as required. On behalf of the entire Reedholm Systems team, we want to thank everyone that has helped make our first full year of operation a sucecess and a profitable one to boot. We provide comprehensive support to the installed Reedholm base, covering repairs, module and assembly sales, technical support, as well as the successfull sales and installations of systems. We’ve also signed a comprehensive agreement with STAr for sales and support activities throughout the Pacific Rim. We have a number of improvements in the works. As detailed on our web site, our instrumentation modernization design effort is underway, starting with a surface mount version of the DMM-16 module. We also have software modernization activities to discuss, including a migration to a Linux version. We are also leveraging our experience in Wide Band Gap device testing to the reliability realm and building a constant current packaged reliablity test system specifically for GaN HEMT devices. If you are interested in any of the above, or have different test interests, please reach out to us. We are here to help. A customer with a picoammeter matrix (PAM) card and a low leakage probe card, both from Reedholm, had a new requirement to measure gate current of junction field effect transistors (JFET’s), but was unsure that it could be done rapidly enough for in-line testing. The evaluation performed by Reedholm showed that sub-pA gate leakage testing could be done in <1 second per die, and faster if there was no leakage introduced by device packaging or the probe card. At 200msec test times, uncertainties could be <±100fA. These conclusions were based on gate leakage current measurements of four JFET’s bonded in TO-5 type cans. They were tested at Reedholm on a PAM-12 based RI-40 with a PCIA interface and a low leakage DUT card. The quality of the test fixturing was more than adequate for measuring the true current leakage of the JFET’s. Data was also generated for an open socket condition and for a Motorola 2N5486 JFET. 100kHz Reedholm Capacitance Meter On SaleThrough the end of the year, the Reedholm 100kHz capacitance meter is available at a 25% discount. Consider taking this opportunity to either add this capability to your parametric test system, retire your unsupported third party HP/Agilent or Boonton capacitance meters, or as a spare to help ensure tester up-time. A major performance advantage is the virtual elimination of inductance effects due to signal path lengths. Self-inductance requires up to 10% adjustments for apparent capacitance errors at 1MHz are reduced by 100:1 at 100kHz. Another advantage is that there is very little ac noise near the 100kHz frequency compared to 1MHz. Click here to go to the web site for more details. Asia is the largest market for semiconductor consumption. There are very few analog providers and even fewer power management IC vendors in the region. OEM’s and ODM’s frequently look to BCD to provide system-level insight as well as design and technical support to reduce time-to-market. The sun never sets on Reedholm Systems. That’s because Reedholm products are found worldwide in large and small semiconductor companies, handling everything from routine process control to production die sort, to a variety of wafer and packaged level test requirements. We have a rich 30+ library of IP to draw from and a new management team. Simply put, we want to make it possible for customers to have test system that work the way they need them to. We have a host of projects under consideration, ranging from SW extensions to HW improvements designed to modernize and continuously improve our systems. Whether this is your first time hearing of us, or you are an established customer, we hope you find out newsletter to be technically informative. We welcome the chance to serve you and help address your test requirements. Supply of direct replacement components is becoming unfeasible due to the component life cycle and package availability (through-hole). Surface mount manufacturing will bring instrumentation in line with modern processes and procedures. Design DMM-16 with direct functional replacement hardware. Validate backwards compatibility with Reedholm software, calibration, diagnostics and measurement tools. Update software only as needed to support hardware integration. Integrate modern, surface-mount components that replicate the measurement performance of existing tools. Validate performance and compatibility across multiple tool sets and range of measurements. Demonstrate long-term stability across temperature and operational conditions to match or exceed existing performance. New instrumentation design will be available as a direct replacement for existing hardware to allow seamless upgrade and minimal down-time. Existing support from component vendors of contemporarily sourced components. Sourcing modern components using SMT processing technologies will deliver superior performance and reliability. Components, design elements, and interfaces are being designed to deliver equal or better performance than existing tools. No shortcuts for cost or size means no expected loss in measurement continuity between old and new instruments. Modern SMT components with equal or better device performance will yield a system that will deliver superior net measurement capability. New parts are widely available with long expected lifetimes to allow new instruments to be designed, built, and supported without concern of component sourcing or availability. A sustainable manufacturing capability with modern components will expand to the balance of the Reedholm instruments over time.